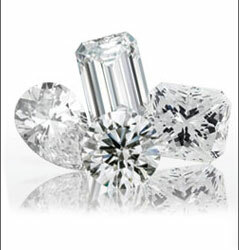 Canadian diamonds are desirable because of their great attributes. They come from that exotic and beautiful Canadian north. Canadian diamonds are being mined in accordance with the principles of sustainable development They are mined to the highest environmental standards in the world; they have provided social benefits to the northern communities and have brought about important economic prosperity to their region (Check the mines websites). Canadian diamonds meet the requirements of the Kimberley Process and many of them can be traced back to the mine of origin. And, for Canadians, they support a new Canadian industry. A diamond that was mined in Canada and may be cut and polished in Canada or abroad. What are the benefits of this Code? The Code establishes a minimum standard based on records and a chain of warranties required to validate a Canadian diamond claim. Retailers who abide by the Code demonstrate to consumers their commitment to ensure the authenticity of Canadian diamond claims. The Code allows Canadian diamonds to be traced from the Canadian mine to the diamond jewellery retailer, providing consumers with a method to authenticate Canadian diamonds sold by a Code member. The Code is endorsed by the Competition Bureau of Canada and the World Jewellery Confederation (CIBJO). What should I ask for if I want to buy a Canadian diamond? the name and address of the retailer. How can I request the authentication of the Canadian diamond I purchased? Contact the Canadian Diamond Code Office at 1-866-399-1118 or 1-416-363-2968 or by e-mail at info@canadiandiamondcodeofconduct.ca. You will be asked to provide the information described above and a payment of $25.00 + GST for up to two diamonds per piece of Jewellery or $50.00 + GST for three or more diamonds per piece of jewellery. Upon receiving the required information and payment of the administration fee, the Code Office will confirm whether or not the necessary steps were taken by all levels of the trade to meet the minimum requirements outlined in the Code. Do Canadian diamonds cost more? Mining diamonds at the highest environmental and social standards is expensive. The efforts required to meet the minimum standards of the Code also add a cost to the handling of Canadian diamonds because they need to be tracked in a manner that can be audited from the mine to the consumer. Some retailers prefer not to mark-up their Canadian diamonds knowing that they sell faster than others. Some retailers add a premium to their Canadian diamonds to cover their costs. That premium will vary from one retailer to another.